Get the latest on 2018 laws and legal decisions affecting California employers! Topics will include: new legislation including amendments to last year’s salary history legislation, new anti-harassment measures, and expanded training requirements. 2018 case law developments including cases interpreting employee classification issues, class action waivers in arbitration agreements, and calculating overtime pay and unpaid wages. And practical take-away pointers for employers as they head into 2019. This program will be eligible for 3.5 SHRM professional development credits and 3.5 HRCI California credits. 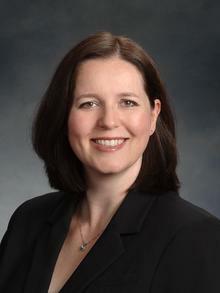 Melissa Whitehead is a partner in Freeman Mathis & Gary’s Sacramento office. Ms. Whitehead has successfully litigated numerous cases in California's state and federal courts and various administrative agencies, in a wide variety of general liability and employment matters, including wrongful termination, wage and hour, FEHA claims, and EEOC claims. Additionally, she advises and counsels employers concerning their workplace policies, practices, and personnel decisions. Brooke Kozak advises employers in all areas of employment law at Shaw Law Group. She also conducts workplace investigations for public- and private-sector employers. A former human resources professional focused on employee relations, policy development, and recruiting, Brooke brings practical business and management experience to her practice of employment law. She previously worked with association, non-profit, and insurance organizations. Lukas Clary is a shareholder in Weintraub Tobin’s Labor and Employment and Litigation practice groups. 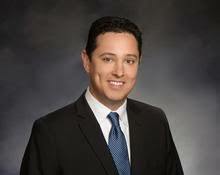 Lukas has experience representing clients in all aspects of employment litigation. He regularly handles claims involving allegations of workplace discrimination, harassment, retaliation, wrongful termination, unpaid overtime and wages, missed meal and rest periods, and class actions. Lukas also regularly counsels employers on compliance and litigation avoidance strategies, including leave management and the interactive process associated with accommodating employees with disabilities. He also helps his clients craft employee handbooks and employment policies.